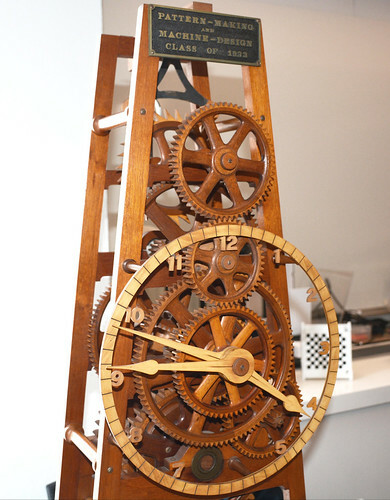 A casual conversation between a professor and a librarian led to an EPIC (externally-collaborative, project-based, interdisciplinary culture) class project that saw the restoration of a handmade clock from 1933. 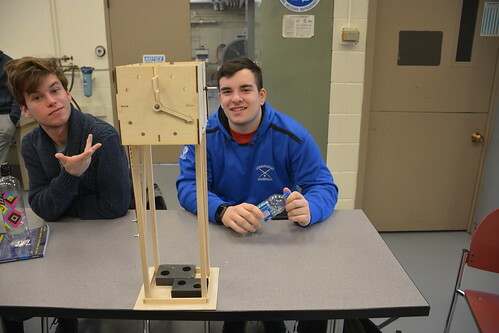 The wooden clock, which was originally manufactured for a pattern-making and machine-design class, was recovered from Wentworth storage by Rhonda Postrel, reference librarian. Stephen Chomyszak, assistant professor in the Department of Mechanical Engineering & Technology, took one look and realized they had something special. 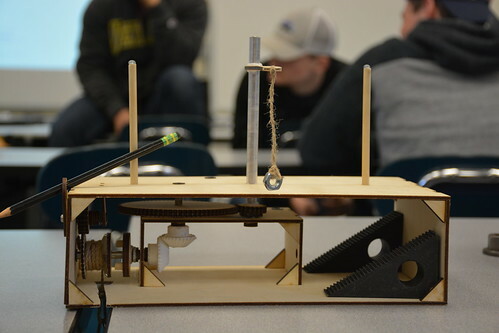 The professor brought over three sections of his “Introduction to Engineering Design” class—a total of 65 students—to the Lloyd Andres Carney Technology Sandbox to show them the workings of the clock to help them with their final projects. 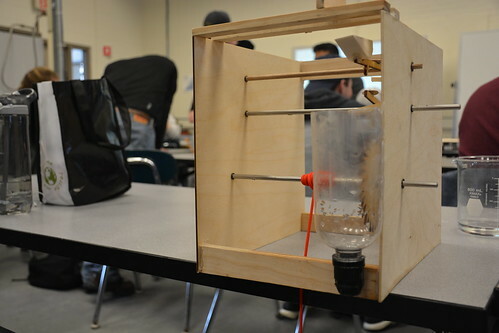 Chomyszak tasked his students with designing and building a mechanical device that used an escapement, a mechanism in mechanical watches and clocks that transfers energy to the timekeeping element. “I [wanted] to show them how an actual escapement works and to expose them to all of the details that had to be thought about and executed in order to create this beautifully crafted clock,” he says. 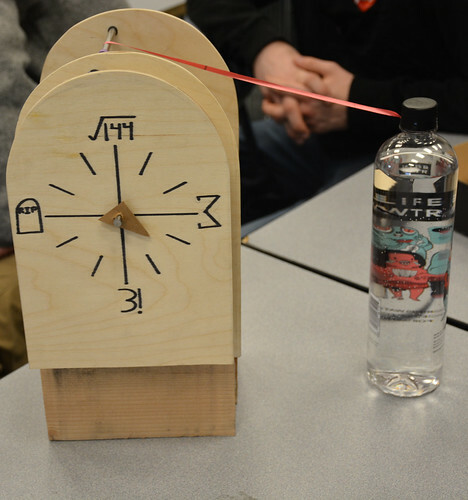 The students’ final projects mimicked the movements of the old clock. 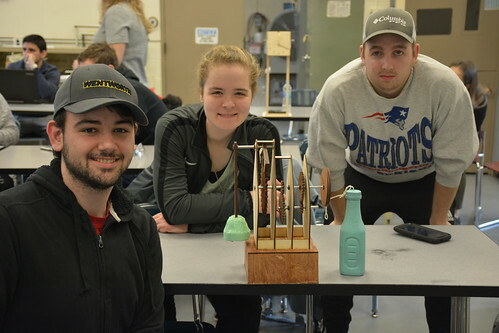 Students were judged on overall function, appearance, and risk-taking. View images of the student-created clocks below or at Flickr. January 23, 2019—A delegation from Southern University of Science and Technology in China visited the Wentworth Institute of Technology campus on Jan. 22 to meet with senior leadership and learn more about Wentworth’s success in the higher education sphere.